76-910-04 Classy FX Silver Pearl Airbrush Base 4 oz. 76-920-04 Classy FX Blue Pearl Airbrush Base 4 oz. 76-925-04 Classy FX Aqua Pearl Airbrush Base 4 oz. 76-940-04 Classy FX Green Pearl Airbrush Base 4 oz. 76-960-04 Classy FX Gold Pearl Airbrush Base 4 oz. 76-965-04 Classy FX Bronze Pearl Airbrush Base 4 oz. 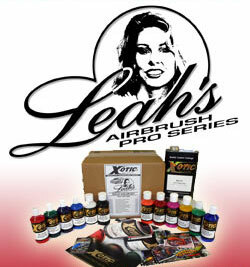 76-970-04 Classy FX Red Pearl Airbrush Base 4 oz. 76-975-04 Classy FX Cherry Pearl Airbrush Base 4 oz.